For a long time, Islamists have made a habit of stamping their deceased with the label "martyr." Not only does this add an extra layer of holiness to a person they deem of importance, it also helps to exploit a person's death for political gains. Whether by accident, murder, disease or terrorism — the most basic qualification for becoming an Islamist martyr just seems to be that one is indeed dead. The most recent and prominent example of a martyr venerated by Islamists in the West has a better claim than some to this honorific. 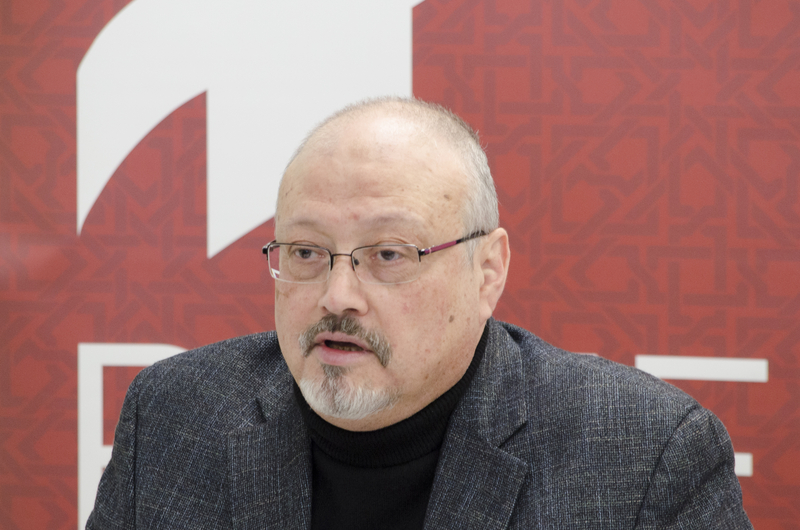 Saudi journalist Jamal Khashoggi was murdered most brutally in the Saudi consulate in Istanbul. American Islamists, however, spearheaded by Council of American Islamic Relations (CAIR), quickly embraced the martyrdom message with gusto. But did they do purely out of horror at Khashoggi's plight? Or was his murder useful for the American Islamist narrative? Today, CAIR's opposition to Saudi Arabia is a far cry from its historically cordial relationship with Riyadh. Saudi once reportedly served as a key financier for the Islamist organization, extending back to 1999 when Saudi Arabia helped fund the establishment of CAIR's headquarters in Washington, D.C. The relationship was maintained by the Saudi organization, the World Assembly of Muslim Youth (WAMY), which worked closely with CAIR for decades. But after funding the Muslim Brotherhood for many years, Saudi Arabia began to withdraw its support for the Brotherhood in 2013, before banning it a year later and denouncing its proxies in the United States. American Islamists quickly turned on their former patrons, now campaigning against Saudi foreign policy, and supporting human rights campaigns against the very Wahhabis for which groups such as CAIR had previously advocated. CAIR and other American Islamist groups are now using Khashoggi's terrible fate to attack Saudi Arabia, and steer American politicians towards the agendas of Western Islamist movements and those financing it — particularly the Qatari regime. Following Khashoggi's death, CAIR helped organize a memorial at the Mayflower hotel in D.C., and publicly encouraged legislators to investigate Khashoggi's killing. The Islamist group even supported demands that Washington, D.C. city council rename the street on which the Saudi Embassy sits to "Jamal Khashoggi Way." Senior CAIR officials echoed this anti-Saudi message. On November 20, 2018, CAIR Executive Director Nihad Awad tweeted: "DearMembers of Congress, Please restore hope. The world is watching. Khashoggi's loved ones are watching. If Trump thinks #MBSis above the law and can get away with #KhashoggiMurder, you must uphold the law and hold him accountable." As Saudi Arabia began to turn against the Muslim Brotherhood, American Islamists pursued closer relations with Qatar. CAIR has reportedly received Qatari funding, while senior CAIR officials have often visited Doha, are regular guests of Qatar's Al Jazeera network, and take part in Qatari regime-linked events in the United States. CAIR's support for Doha has emerged in its Khashoggi commentary. CAIR backed a Senate resolution blaming the Saudi Crown Prince for Khashoggi's murder, but which also, in CAIR's words, called on "Saudi Arabia to negotiate an end to the war in Yemen" and "restore diplomatic relations with Qatar." Overnight, Khashoggi became a martyr for Islamists everywhere — especially through Qatari-funded networks. But the outrage expressed by groups such as CAIR contrasts sharply with their silence concerning the treatment of others at the hands of foreign regimes. CAIR has remained silent, for example, over the plight of Asia Bibi, a Christian woman seeking asylum in the West, who narrowly escaped martyrdom herself after spending years on death row in Pakistan on blasphemy charges. The efforts to which the Qatari regime sought to exploit the murder of Khashoggi are well documented. That these efforts are aided by Doha's new-found American Islamist proxies, which work to steer the United States in the direction of Doha-directed and funded Islamism, must now be publicly addressed. Hany Ghoraba is a writer for Islamist Watch, a project of the Middle East Forum. He writes for Al Ahram Weekly and is the author of Egypt's Arab Spring: The Long and Winding Road to Democracy.